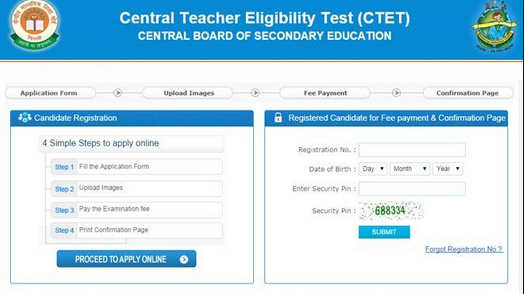 CG TET 2019 - All about Chhattisgarh Teacher Eligibility Test (CG TET) ✓ Notification ✓ Application Form ✓ Syllabus ✓ Admit Card ✓ Eligibility ✓ Question Papers ✓ Sample Papers ✓ Answer Key ✓ Exam Date ✓ Exam Pattern ✓ Cut-off Marks ✓ Preparation Tips for the post Primary Teacher (from 1st class to 5th class) and Upper Primary Teacher (from 6th Class to 8th Class) examination to be held in 2019. Candidates interested in appearing for the exam should apply only through online process from official website of Chhattisgarh TET i.e. www.cgvyapam.choice.gov.in. The Government has Decided to Conduct The Chhattisgarh Teachers Eligibility Test – CG TET 2019 Exam Once Again in the Current year to help more Number of Candidates to Apply for Chhattisgarh TET 2019 The State Government has announced the TET Chhattisgarh 2019 Latest Schedule now. Education Qualification for Classes I to V: Candidates must have Senior Secondary Examination (10+2 Class) OR Graduation and two (02) years Diploma in Elementary Education OR (B.Ed) 04 years Bachelor of Elementary Education Certificate OR two (02) year Diploma in Education. Academic Certificates for Classes VI to VIII: Candidates should have Graduation with Diploma in Elementary Education OR B.Ed OR 10+2 Class with four (04) years Bachelor in Elementary Education (B.L.Ed)/ B.Sc.Ed/ BA. Ed and Equivalent. ✓ More than 5 lakhs students of Chhattisgarh are waiting for the results, An CG TET candidate who scores 60% or more in Chhattisgarh TET exam 2019 the exam will be considered as CG TET pass. Candidates will be able to download their Admit Card before the two weeks of the exam. Candidates are requested to visit the same website to download their Admit Card For Chhattisgarh Teacher Eligibility Test (CG TET) Exam 2019. Candidates can download admit card By entering their Registration Id, Roll No. or Full Name. If you face any technical difficulties during downloading e-admit card for CG TET 2019 Examination or discrepancy in e-admit card, you can contact or inform at http://cgvyapam.choice.gov.in/content/contacts. 1:- Log on to the official website www.cgvyapam.choice.gov.in. STEP#01: Log on to official website of Chhattisgarh TET. to apply online for CGTET. STEP#04: Fill and edit Chhattisgarh TET 2019 online application form. Unit 1: Introduction to child development Concept of development, stages of development – pre natal/infancy/early and post childhood/adolescence, physical, cognitive, social development, factors affecting development –nature, nutrition, continuity and discontinuity, early and later experiences, social and cultural background of child development, knowledge about different methods to study children. Knowledge and Syllabus- need of a syllabus, concept of syllabus, concept of curriculum, problems in syllabus construction, criteria for the selection of syllabus, Right to Education Act-2009 (role and responsibilities of teachers), child right. जीव विज्ञानी - इंसान और जानवर की भाषा में फर्क /कारक, क्यों है? 1.2 a) How to encourage children to learn a new language? 1.5 How to teach with the help of a text book? 2B.4 Identifying and writing objectives. 3.3 Use of some important Conjunctions. 3.4 Use of some important Prepositions. 3.6 Pairs of words, One word substitution. How mathematical thaughts are deoveloped? Nature of mathematics. Thinking in mathematical manner, abstraction, specialisation and generalisation. Unit 2: Teaching-learning and evaluation of mathematics Preparation of models for learning, learning means roating (banking model), learning means learning programming means construction of understandign, practices in teaching, constructive evaluation in class room, development of abstract thoughts, conceptual and procedural knowledge. Metric system, length, area, volume, mass, measurement of time. Integers, even, odd, indivisible and divisible numbers, ascending and descending orders, place value. Comparison of fractions, their rules, conversion of decimal fraction into simple fraction. What are HCF and LCM? Formula to solve related problems. Meaning of percentage, conversion of percentage into decimal and conversion of conversion of decimal into percentage. Purchase-sale value, profit-loss and expressing them in percentage and Rupees. Formula to calculate speed, time and distance. m. Unitary law, time, work and wages. What is environment? Components of environemtnt- Social, economical, natural, cultural . Interaction among components of environment. Relevance of environment in present context. Interesting environment from children’s point of view. Unit 2 : Understanding of children on environmentUnderstanding of children, perception of children, understanding of children of to 7 and 8 to 14 year about environment. How to asses the knowledge of children about environment? How do children learn? Role of adults and society in learning of sounds and experience of children. Relevance of environmental studies in curriculum, formation of concepts, concepts of social studies at primary level. What is skill? Development of skills. Unit 4 : Teaching of Social StudiesTeaching of science, teaching of social studies, activities in class room teaching reading of pictures, understanding of pictures drawn by children, understanding of day-night and seasons, measurement of time, reading and understanding of maps. What is activity? Collection of materials for activities, planning and organisation of class room activities, small activities and discussion on them, area tour, survey, project, library- as learning resource, evaluation, good class room. Interrelationl, nuclear and joint family, social evils (child marriage, dowary system, child labour, theft), ediction (liquor abuse, smoking) and their bad effects on individuals, society and economy. Unit 7 : Care of ones own bodyCare of ones own body- external parts of body and their cleanliness, general information of internal system of human body, information on balanced diet and its importance, general diseases ( amiobiosys, metahaemoglobin, animia, fluorosys, maleriya, dengu) causes and measures of prevention from them, pulse polio project. Unit 8 : Ecological SystemStructure of ecological system, living and non living components, food cycle and food network, flow of energy in ecological system, transformation of energy, material cycle, oxygen cycle, coordination of nature’s cycle. sir ji CGTET ka form kab nikalega next wala...? ?